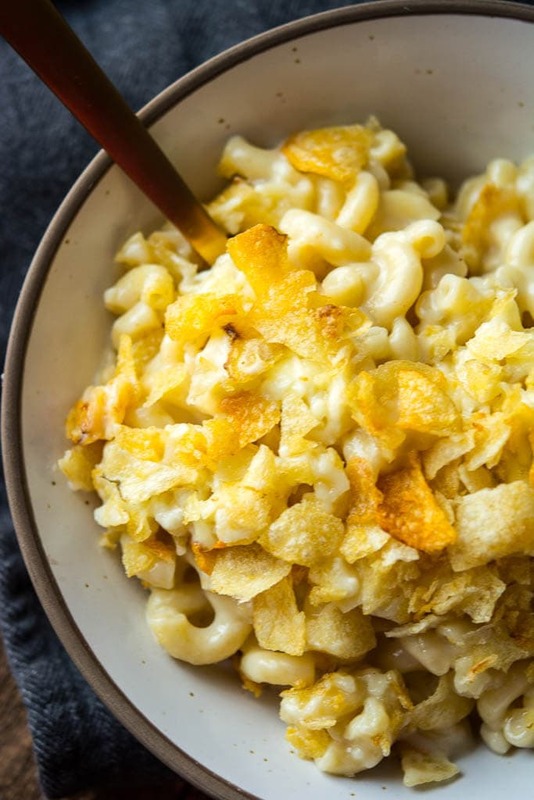 Everyone needs a homemade Mac and cheese recipe that will blow people’s minds! 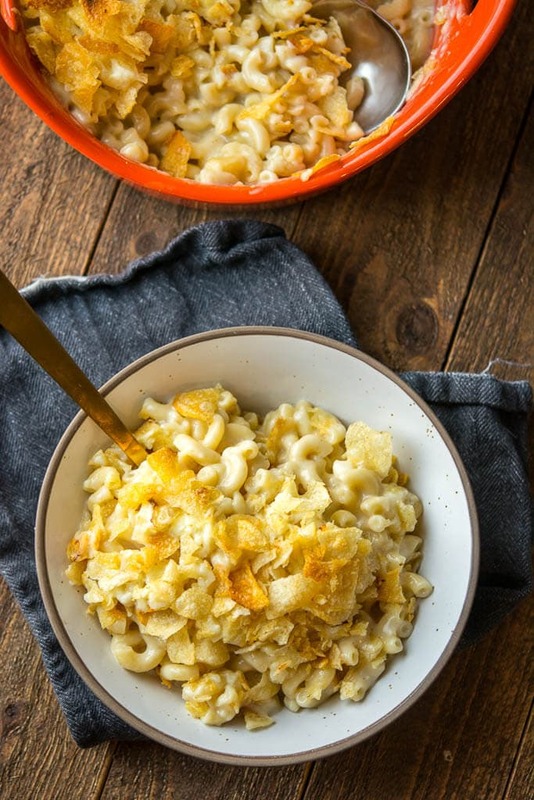 This White Cheddar Beer Mac & Cheese lives up to that tall order with your favorite beer + white cheddar! 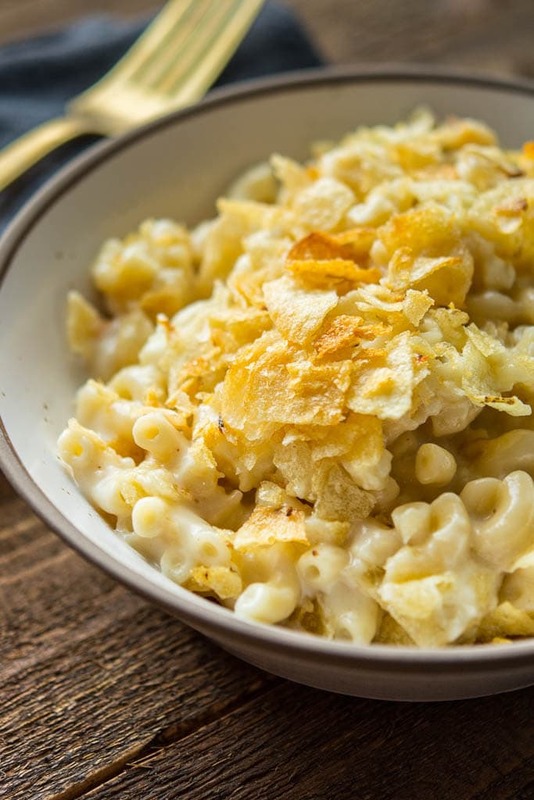 Whether you decide to serve it for the main course or if this is your side dish, the only thing that really matters is that you make this White Cheddar Beer Mac & Cheese as soon as possible. No need to miss out on any of the creamy, cheesy deliciousness any longer! I made homemade mac & cheese for the first time a couple of years ago, and once I realized how easy it really is I just can’t stop myself from trying about every different version I can think of. Let’s just chat the basics for anyone who hasn’t attempted or hasn’t had success. First is obviously noodles! Boil noodles just to al dente or slightly less cooked since we are going to bake it for a bit later. Noodle selection is important here because you want noodles with plenty of nooks and crannies for the cheese to hide in. 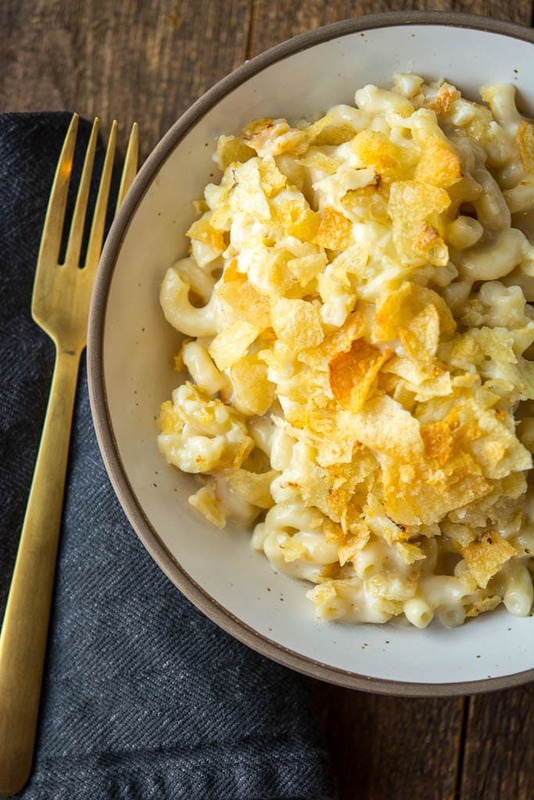 More cheese per bite = better mac and cheese. That’s why elbow noodles are classically the best. Next is cheese sauce, and it should be homemade. No processed chunks of melted cheese needed because it is surprisingly simple to make your own. Shred cheese yourself from the block so that it will melt the best. Pre-shredded cheese is coated in an anti-caking agent and will likely give you a grainy result. 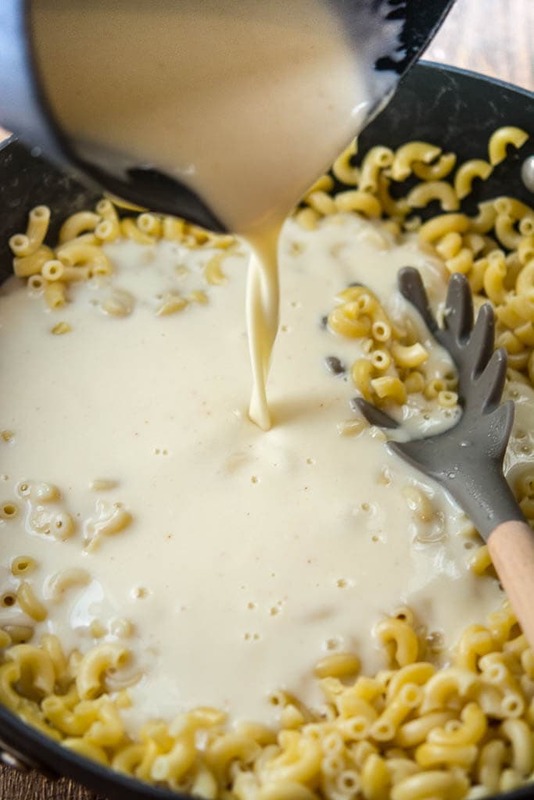 Butter, flour, milk and cheese is all it takes to make a delicious sauce in minutes. 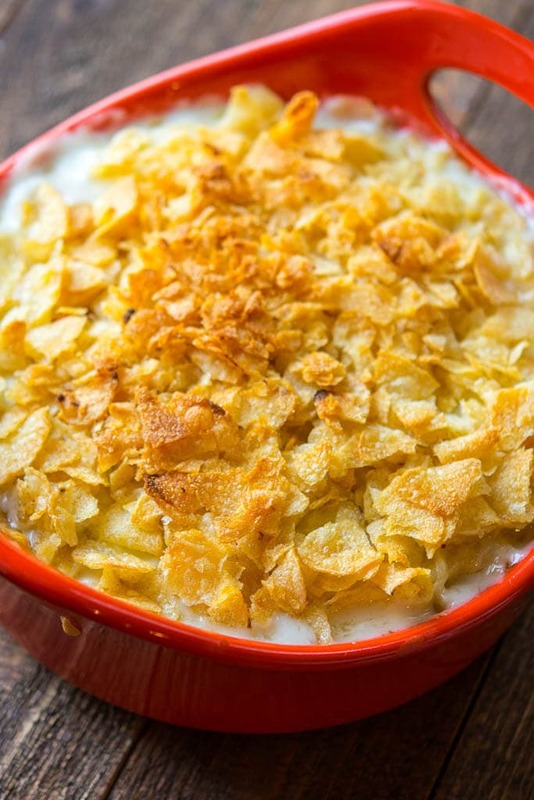 Finally, I strongly suggest giving it a topping and baking it for a few minutes to give it the perfect thick, rich and creamy texture with just the right amount of crunchy topping. Of course, my version is a special and totally grown up version with the addition of a little beer for that extra delicious flavor! So, enjoy and tell the kids to go grab the microwave version while you keep this one all to yourselves! 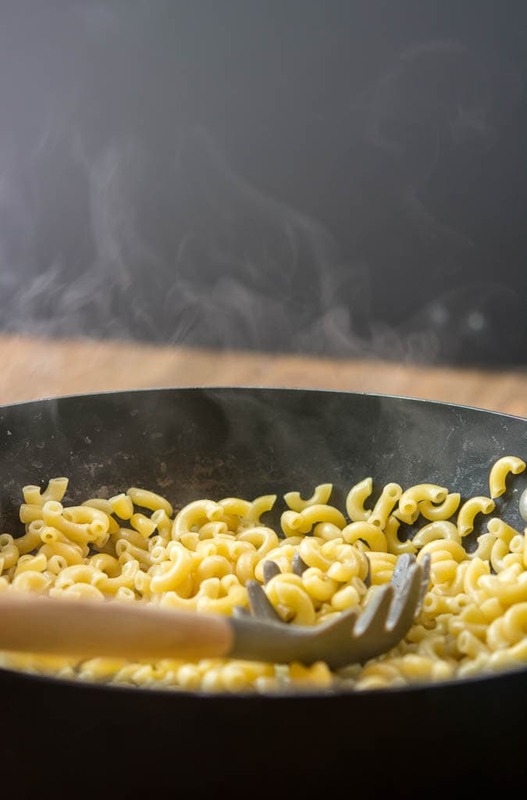 Everyone needs a homemade Mac and cheese recipe that will blow people's minds! 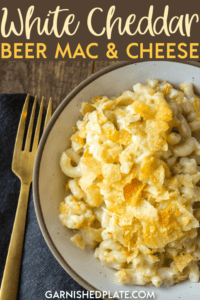 This White Cheddar Beer Mac & Cheese lives up to that tall order with your favorite beer + white cheddar! Wow. I really don't know what else to say. I mean come on, this is like the holy grail of mac and cheeses!! The beer and chips and okay, I'm officially drooling. MUST make this soon!